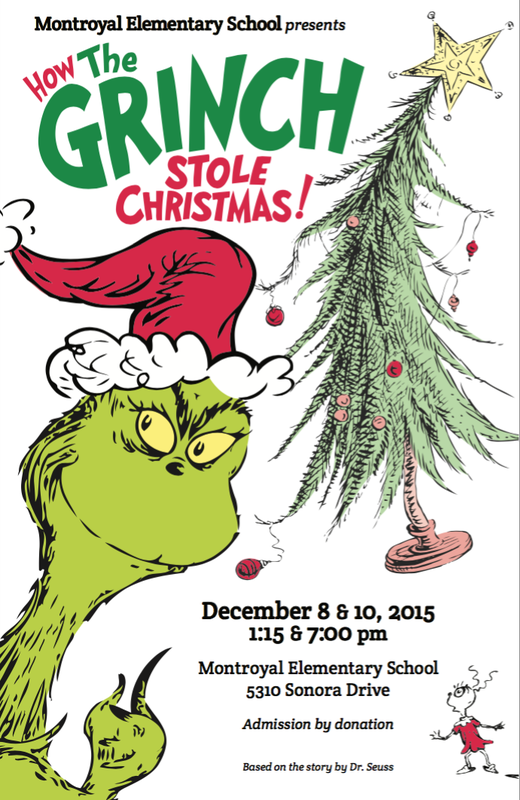 Tuesday, December 8th 1:15 p.m. & 7:00 p.m.
Thursday, December 10th 1:15 p.m. & 7:00 p.m.
Our Christmas concert this year will be How the Grinch Stole Christmas. Our Grade 4 students will be performing the play while our Primary classes sing the chorus parts . The performance is approximately 30 minutes with all students performing throughout the entire show! Admission by Donation. Further details about dress requirements will be communicated via class reps in the coming weeks. Let us know how you can help this year! I am currently looking for parents to participate in the preparations for the concert. We need people for many different kinds of jobs from shopping to building and decorating. Return of Sound and Lighting Equipment on Friday, December 11.